Audra, you is Will’s woman, now. 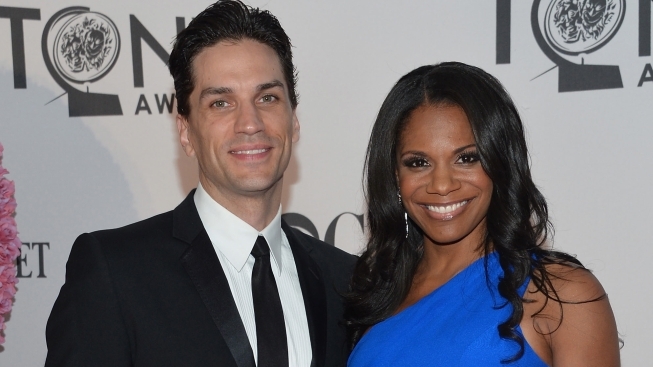 Audra McDonald, the Tony-winning dynamo of stage, wed fellow actor Will Swenson Saturday night at their home in the Hudson Valley, People magazine reports. "Well that was just the best day ever #SadieSadiemarriedlady," McDonald, 42, tweeted this weekend. Swenson is 38. McDonald appeared on the medical drama “Private Practice” for four years, then returned to Broadway at the start of 2012 to star in the revival of “The Gershwins’ Porgy and Bess,” which earned her a fifth Tony Award. Swenson most recently starred as Tick in Broadway’s “Priscilla Queen of the Desert,” and will next appear in the Manhattan Theatre Club’s “Murder Ballad” at City Center. McDonald paid a memorable salute to Zoe at this year’s Tony Awards, saying: “This is an amazing night for mommy ... but the night you were born was the best night ever.” The video is below.